When Johann Wolfgang “Hans” Gmoser first moved to Canada in 1951, the vast and untouched terrain available to climb and ski inspired the Austrian-born mountaineer to develop an entirely new way to explore and guide in the Great White North. In 1959, Gmoser incorporated Canadian Mountain Holidays (now CMH Heli-Skiing & Summer Adventures) and transported his first group of guests to the Canadian high-alpine by helicopter in 1965. Fast Forward nearly 60 years, CMH now operates 12 lodges across a three-million-acre tenure, creating life-changing mountain experiences for every guest who steps out of their Bell 212 and 407 helicopters. 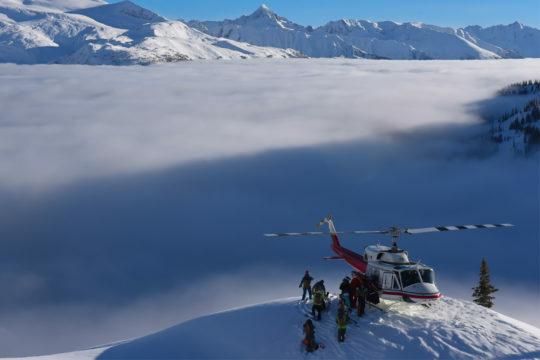 In its latest effort to further elevate the experience that is CMH, the heli-skiing operation, along with its parent company Alterra Mountain Company, announced an $8.4 million renovation plan for the Bobbie Burns Lodgescheduled to break ground at the end of this month. Located outside of Parson, British Columbia, the Bobbie Burns lodge feels like its a world away but is actually one of the easiest lodges to get to from Calgary. Having the chance to make the trek myself last week, the lodge is a gorgeous three-hour bus ride from the airport through the breathtaking Canadian Rockies to the pickup pad in Parson. From there, the lodge is just a 10-minute helicopter ride into the backcountry. The lodges easy access combined with its massive rolling glacier terrain has made it one of the most popular lodges at CMH since it was built in 1981. Offering year-round experiencesheli-skiing in the winter and heli-accessed hiking in the summerthe ever-increasing use of the lodge has made it the perfect candidate for renovation. 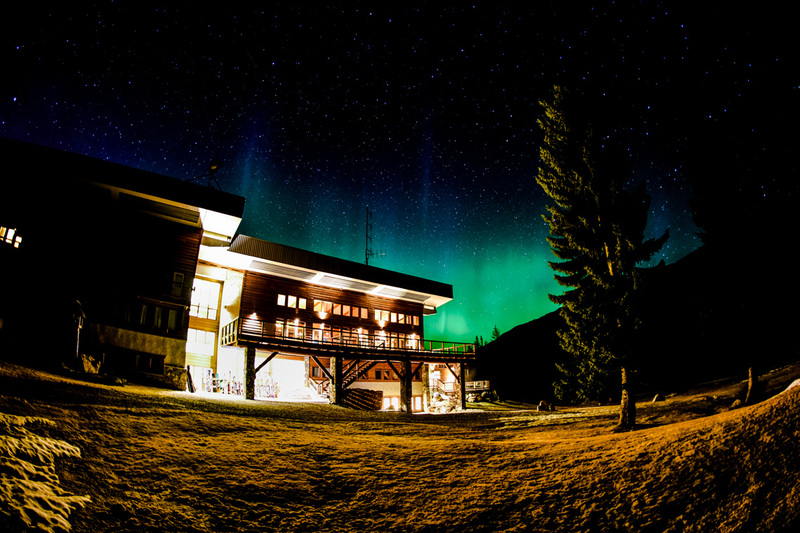 At certain times of the year, the Northern Lights can be seen right from the Bobbie Burns lodge. PHOTO: Courtesy of CMH/Public Works. The redevelopment of the Bobbie Burns lodge is part of CMHs ongoing commitment to continue to elevate both the guest and employee experience, says Levitt. The renovation of the Burns is the largest project CMH has undertaken in nearly two decades, since the development of the Monashees lodge in 2002. Along with giving the existing 22 guest rooms a luxurious face lift and transforming 18 of the double twin rooms to single queen rooms, an entirely new wing will be added on to the backcountry lodge. This fresh new space will add 16 additional rooms10 for guests, six for staffto accommodate the new four-person private heli-skiing program at Bobbie Burns. 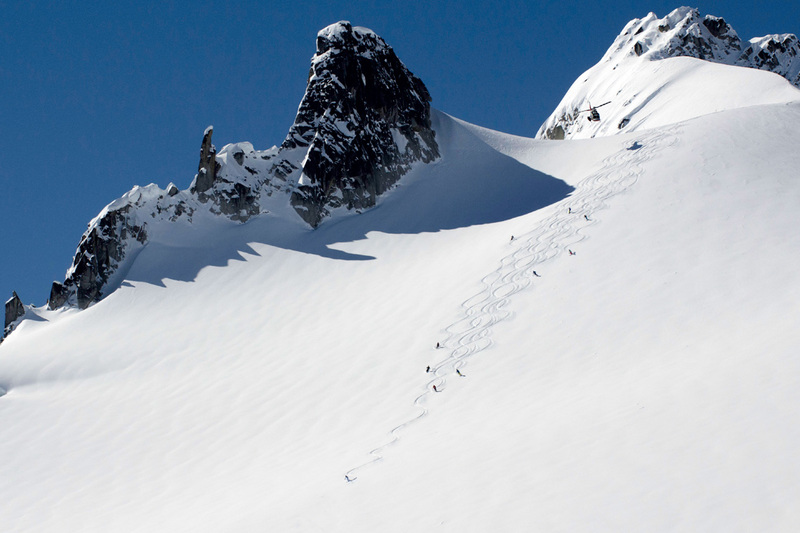 With the Burns being in such high demandheli-skiing trips at this location sell out 18 months in advancethe expansion of the lodge allows for more guests to experience the massive vertical and glacier skiing of Bobbie Burns. Along with the lodge expansion, CMH is investing in a brand-new Bell 407 helicopter dedicated solely to the new private program and expanding the heli-shack that houses the operations steel birds. An additional pilot, engineer and guides will also be hired to support the new program. While the private program amenities service a lucky few, the renovations to the lodge are transforming just about every corner of the space for every guest to revel in, including an upgraded spa facility to meet the CMH Wellnes gold standard and a new, dedicated games room in close vicinity to the lounge and dining area. Taking inspiration from the natural surroundings of the lodge, Douglas Fir wood will be used throughout the renovated building, as well as stone and metal elements for a sleek, rustic-modern design. Bobbie Burns is known for its massive amount of vertical skiing. PHOTO: Brad White. On top of the $8.4 million CMH is investing in the Bobbie Burns lodge, another $1.2 million has been allocated for terrain maintenance and run developmenthalf of which is going into the Burns’ tenure to support the heli-skiing program as well as access to and development of the lodge. Focused on glading, spacing and brushing, the skiing at Bobbie Burns will be better than ever, which after just spending five days frothing over the terrain, is hard to imagine. So, whether youve been coming to the Burns for years, or youve just booked your first trip, the redevelopmentand the ambitious glacial terrainof the Bobbie Burns lodge will absolutely blow your mind come December 2019. The post CMH announces $8.4 million renovation of the beloved Bobbie Burns Lodge appeared first on FREESKIER.